Interested in single-serve coffee but not sure whether to go pod-based or not pod-based? Deciding between the responsibility of ultimate brewing freedom and the easy of pod based brewing can be difficult. But we’ve done the hard thinking for you. Read on to find out whether the pod-less Ninja brand or the Pod-based Keurig brand better suits your lifestyle and coffee needs. SharkNinja Operating LLC, a household appliance producer originally called Euro-Pro Operating LLC, first arrived in the United States in 1996. They manufacture a variety of products including coffee machines. 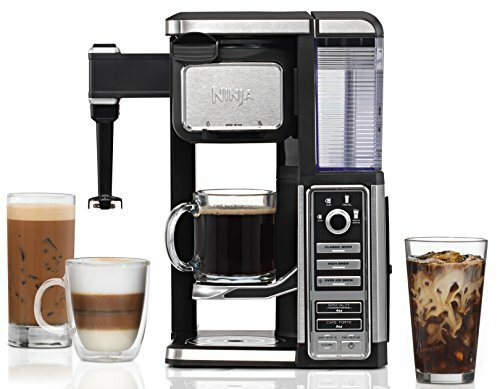 The main pull of Ninja’s coffee machine line is their versatility. 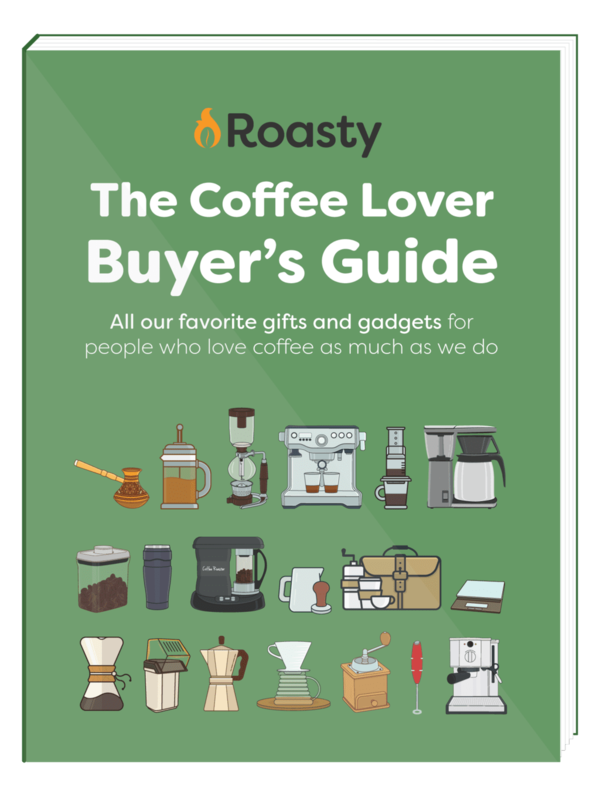 They specialize in creating devices that reduce the number of appliances you need to achieve a top-notch, at-home brewing setup. Classic: Perfect if you’re looking for the standard cup of Joe, the classic is a straightforward and simple brew, similar to what you’d get from a high quality drip machine. Rich: This is the half-step between the classic and specialty brewing options; this option works well if you enjoy milk or creamer but still want to taste the coffee. Iced: If you aren’t already sold on the versatility of these machines, the iced option might just convince you; it allows you to brew the perfect strength hot beverage to be served over ice. Specialty: Note that it doesn’t technically call this option an espresso. That is because the specialty coffee is actually a coffee concentrate. So it might be a little meh if consumed as a shot, but it’s perfect for, well, specialty drinks like cappuccinos or lattes. 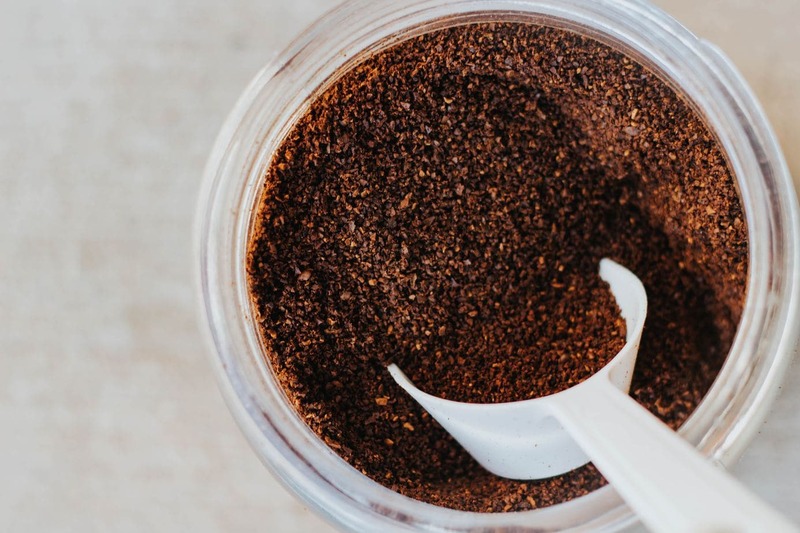 Cafe forte: For the true coffee snobs out there, this brewing feature makes a pretty successful attempt at highlighting the specific flavor notes of your favorite grounds. This is a beverage you CAN drink black. A branch of Keurig Dr.Pepper, Keurig specializes in single-serve pod coffee machines. With over 50 difference models, Keurig is a coffee powerhouse, especially in the States. The main pull of Keurig machines is their efficiency and simplicity. They can brew a decent-tasting cup or carafe in a surprisingly short amount of time. Plus they’re super user friendly. Across the board, Keurigs are pretty straight forward to operate, which is a part of their allure. Brewing starts in a water reservoir. A selected about of water is then heated and pushed through your selected coffee pod and directly into your cup. Super fast brewing: All Keurigs brew in a minute or less, though heat-up time varies from machine to machine. Pods: These machines are exclusively compatible with Keurig brand coffee pods. Though their are some third-party dupes, they’re hard to find and usually not worth the risk. Removable components: As we mentioned earlier, this brand prides itself on being low-maintenance. For that reason, they include removable drip trays and water reservoirs. Auto-off: This is a power saving and safety feature. It powers off the heating element of the machine after a programmed set of time (from 1 minute to 2 hours) has elapsed. This is Ninja’s single serve system, perfect for smaller households with plenty of room for programmability and experimentation. This machine is entry-level, meaning it’s delightfully user-friendly. It has the full range of ninja’s brewing capabilities, from classic to cafe forte. Size options are best for one or two cups: cup, XL cup, Travel mug, and XL Multi-Serve. has a similar build with a larger size range. Onw of Keurigs most popular models of all time, the K575 packs an impressive punch for under $200. 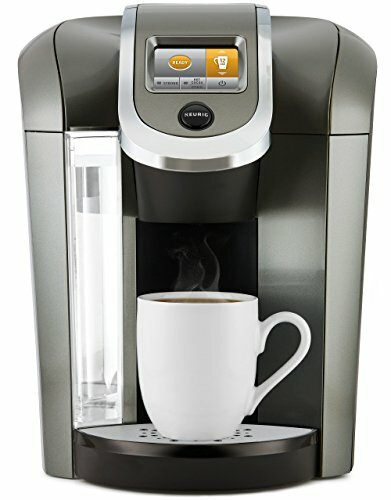 This Keurig measures 10.2-inches wide x 13.4-inches deep x 13.6-inches high and has the capability to make a variety of brew sizes: 4, 6, 8, 10, 12, 22, 26, or 30 oz. The last three do require you to purchase a carafe separately though. Both Ninja and Keurig have a wide ranges for brewing; however, Ninja definitely takes the cake on this one. Keurig’s range comes in with their pod partners, which we discuss a little more in the “to pod or not to pod” section below. While the range of coffee you can get with these options is respectable, the exclusivity is inherently limiting. Also, you’ll have to purchase accessories separately if you plan on making any specialty drinks. 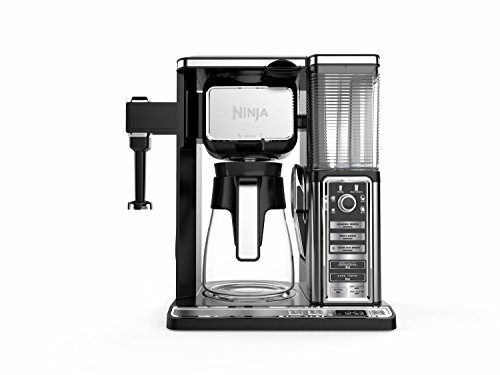 On the other hand, Ninja basically gives you most of the same capabilities of having a drip brewer, espresso machine, and other coffee appliances in one machine. Some machines even come with a steaming wand, which opens up the entire range of specialty espresso drinks without the need for expensive extras. While both of these brands offer single serve capabilities, one of the biggest point of contention between them is whether pod or no-pod is better. Ninja coffee makers are not pod based. What that means is that you can choose exactly what grounds you use and are not limited by the brand or brand partners. This allows you to experiment with the flavor of your brew much more than you are able to with pod brewing. Keurig does try to hold its own in this category though. Despite the limitations of pod brewing, Keurig provides a respectable flavor range by partnering with 60+ different brands to produce their k-pods. As a result, there are around 160 flavors to choose from. Overall, pod-free is the way to go in our opinion due to the unbridled brewing capability it affords. However, if you are looking for something simple and easy, and you aren’t really looking to experiment with the flavor outside of after-the-fact additions, consider Keurig. Surprisingly enough, Keurig wins with category. Their reservoir range caps at a whopping 90 ounces; whereas, Ninja machines max at 50 oz. Both brands offer a a wide range of brew sizes from single cups to full carafes. So in that sense, they are about tied. On the other hand, if you have a need for speed and simplicity or just have limited counterspace, try a Keurig.